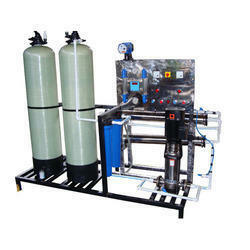 Manufacturer & Exporter of Industrial RO Water Filter. Our product range also comprises of RO Systems, Water Softener and Ultra Filter Plant. Our technological adeptness has made us the pioneers of offering modern day Industrial RO Water Filter. Used for filtration of all the impurities such as dust, mud, and rust, these industrial RO water filter is manufactured by using modern machinery. It helps to enhance the taste of drinking water by removing most of the salts and organic substances from water.